Farewell to Freedom is a fictional story based somewhat on my personal life experiences. The main characters are Cheyenne Stevens (a forty-seven year old wealthy, divorced socialite) and Rowdy Harrison (a forty-two year old, ex-bull riding cowboy from Freedom, Oklahoma). In Farewell to Freedom Cheyenne Stevens flees the heartbreak of a failing twenty year marriage to spend a week in Las Vegas where on the final day of her visit she meets a cowboy named Rowdy Harrison. The journey begins during the National Finals Rodeo. Cheyenne finds love with the cowboy. The cowboy invites her to visit Freedom and she goes. Her short visit to Freedom leaves her wanting more. Cheyenne leaves a life of luxury to live with Rowdy in a bunkhouse on his elderly father's run-down ranch in NW Oklahoma. Rowdy is a rooky stock contractor who raises rodeo bulls. Cheyenne becomes his partner in the bucking bull business. Their bulls perform across the country returning each year to Las Vegas to perform at the National Finals Rodeo and the PBR finals. Cheyenne buys a 3400 acre ranch near Freedom and builds a guest ranch naming it the Cedar Creek Ranch and Rusty Spur Saloon. 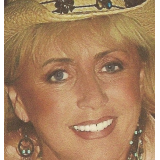 She entertains visitors from around the world and attracts the attention of a Hollywood producer who films her life on the ranch for a reality television show. Rowdy becomes a drunk and a womanizer spending Cheyenne's money like its water. Their life together becomes a roller coaster ride. Cheyenne changes from a well-kept spoiled rich woman to a strong cowgirl who proves that she can survive in a tough man's world. Her patience is tried and tried again by the scoundrels who seek to take advantage of a woman trying to survive life in the country. After thirteen years of extreme highs and lows, struggling to survive the elements and the western way of life, Cheyenne Stevens finally gives up. She sells the ranch and drives away leaving the ruthless cowboy and her dreams behind, saying Farewell to Freedom. Farewell to Freedom is a novel partially based on the author's real life experiences. After going through the breakup of her 20 years marriage, 47 year old Cheyenne Stevens flees to Las Vegas. While in Las Vegas she meets a cowboy named Rowdy Harrison. He invites her to visit him in Freedom and she goes. Cheyenne leaves her perfect world relocating to Freedom hoping that living life in the country will take her back to a childhood place where she was once her happiest. Unfortunately the elements and individuals she meets along the way take a toll on her and her escape to Freedom becomes more than she bargained for. Farewell to Freedom is a great read with much insight to the journey of life if one dares to live. The character Cheyenne makes one laugh at the antics and the possibilities of adventure one can obtain and then have to overcome when given the opportunity. The fictional story is set in modern day era to make it real to all that have an inkling of some of the Western way of life. When I first looked at this book, I wasn't sure I was going to like it. When it comes to this kind of book, I can get a bit picky. The thing is, when I began reading, I actually felt something. The author has obviously woven in some personal experience although I believe that the overall story is fiction, this real-life element helps anchor this story in reality. Throughout the book, I really felt for the main character Cheyenne Stevens. She keeps getting crap thrown at her, starting with her now ex-husband's infidelity. She picks herself up, "gets knocked down but gets up again". She deals with a thriving business then failing business, a new love turns out to be a schlep. The thing is she keeps going despite it all. One character I couldn't stand was Rowdy (the new boyfriend). I wanted to knock him out. In this respect, the author did a good job as I don't normally get that real-life annoyed with a character but he really took the cake. This is a good one. A middle aged woman finds herself single after she discovers her husband is a cheat and seeks love in a place called Freedom, Oklahoma. Unfortunately for her, things are not that simple. Just days before Christmas, Cheyenne flees to Las Vegas to escape the heartbreak of a failing marriage. While there she meets a handsome cowboy named Rowdy Harrison from Freedom, Oklahoma. Upon returning home from the sinful weekend in Vegas, she accepts an invitation to visit Rowdy in Freedom for New Year's. Their love affair quickly becomes a business relationship when Cheyenne buys into Rowdy's bucking bull business. Moving to Freedom, she believes that living life on a ranch with a cowboy will take her back in time to a childhood place where she'd once been her happiest. Unfortunately for her, she needs to escape from her escape. Throughout the book, the realistic descriptions caused me to look a little deeper and I discovered that the author actually experienced some similar events. It is this real life knowledge that in turn gives realism to the book. I appreciate that. This is a story that a lot of people can relate to in some way. This review is from: Farewell to Freedom: What Happens in Las Vegas Doesn't Necessarily Stay in Vegas! This is a story about a woman named Cheyenne Stevens. After years of marriage, she discovers that her husband is having an affair and decides to leave him. Finding herself single again after so long, a friend of hers urges her to go on a trip to Las Vegas with her. Cheyenne accepts. As you may be able to guess, she meets a guy. Actually, she meets him at a rodeo and his name is Rowdy Harrison (ironic name). They end up getting together and move out to Freedom, Oklahoma. Cheyenne decides that their meager living arrangement isn't good enough for her so she takes initiative and opens the Cedar Creek Ranch. Her life is anything but a fairytale though. Even after building a successful business, things go awry. Rowdy isn't the big time winner she thought he was. Trouble brews at the Ranch and she has to part ways with it. For anyone who likes books on rising above the troubles that life throws at you, here's a good one. The main character's life is full of those challenges. Rowdy is someone that you might wish was real so you could choke him. Farewell to Freedom is a story rich with the euphoria of new beginnings, yet tempered by the disappointments which follow. We meet Cheyenne Stevens as she learns her husband has found someone new, and she is helpless to turn the events he has tossed in her lap. We follow her on a sometimes heartbreaking personal journey of escape, excitement, love, and eventually more disappointment. One memorable weekend, she meets Rowdy Harrison, a cowboy cut from true Western cloth--polite, warm, fun--and seemingly rugged. But their relationship once again proves the adage: be careful what you wish for. When their love relationship expands to include a business, Rowdy is no longer the sturdy rock Cheyenne thought she found. Anita Wagoner has crafted the reader a fast-paced drama of love and disappointment--a universal tale of what really happens when life overturns our most hopeful expectations. I gave this one a shot as I know there are a lot of undiscovered gems out there by unknown authors. It hooked me. Cheyenne, the main character, gets screwed over by her husband who finally acknowledges having a mistress. She's been married for over two decades so now she's effectively going through a midlife crisis. On this crisis, she takes a trip to Vegas with a friend. While in Vegas, she meets Rowdy. Long story short, they hit it off and before you know it, they're together and moving to Freedom (which apparently really is a place in Oklahoma, who'd of guessed). It's peachy for a little while as Cheyenne does what she can to be an entrepreneur. The problem is, Rowdy isn't that much better than her ex husband and she finds herself in constant trouble. There are a few characters that really make you want to throw your wrists. The way I see it is that if an author can write a character that makes me wish they were real so I could slug them, then he/she did a good job. Other than a little bit of over dramatizing, this one is well done. If you're looking to get something a little out of the norm and go with a new author, here's one for you. I was not expecting to like this one as much as I did. 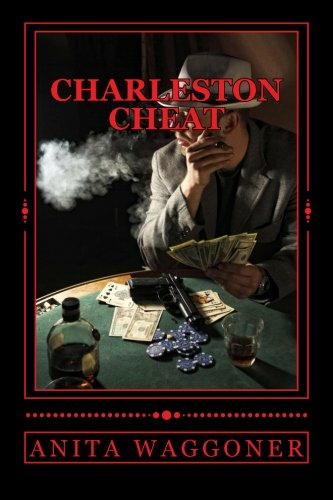 The main character, Cheyenne, discovers her husband is cheating on her and they separate. Finding herself single after years of marriage, she allows herself to be talked into going to Las Vegas. This is where the title kicks in. She meets a guy. Rowdy (her new guy with kind of a cheesy name) charms her and wins her heart. They get together and move to Freedom, Oklahoma to start a new life. But it turns out that she managed to attract someone who was not much better than her ex-husband. She does well for a while but life kicks her around a bit (her ranch burns down for instance) but she's a tough one. Any book with a strong female character is good to me. Give it a try. Even though her new guy's name bothered me the rest of the book more than makes up for that. the book down. 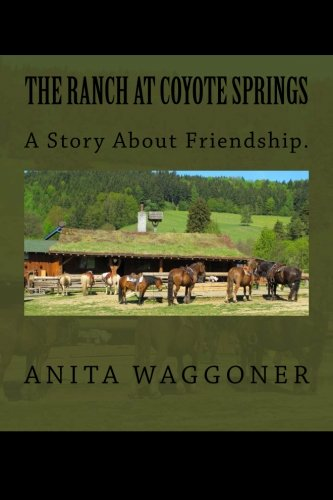 Let's hope Anita Waggoner will continue to entertain us with more books! I bought 2 copies. One to share and one for myself!! I enjoyed the book. I would recommend it to my friends. I would buy another book by the same author. Farewell to Freedom takes you from the bright lights to no lights in a fast paced enlightening tale of opposing forces. A terrific read that keeps you looking for the next chapter. Looking forward to the sequel PLEASE!! What a good read to consistently hold your interest. The story flowed well from chapter to chapter and I didn't find any weak moments. A spirited encounter with Rowdy that tests the will of Cheyenne and lessons learned for a lifetime. I had two firsts with this book, I ordered a copy and put it on my shelf but then I ordered if for my IPAD and couldn't put it down. I flowed well with very interesting people who seemed to love each other at first but learned to drift apart as one worked and the others TOOK. Read it and you will enjoy learning about some of "cowboy" life thru the eyes a awesome lady Cheyenne. Nice touch of human emotions. Suggest it to all.